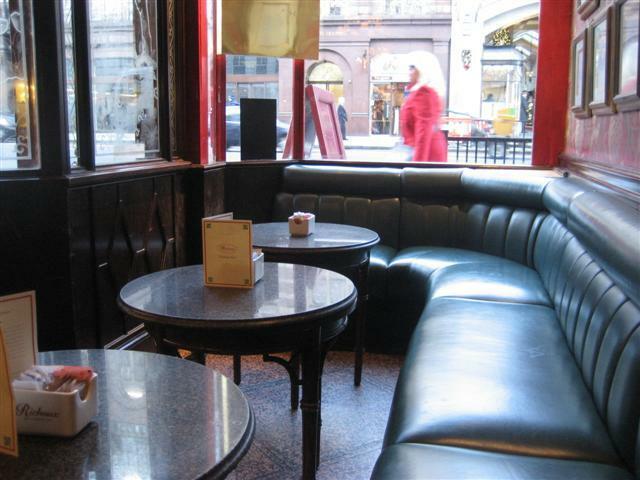 Richoux had a French feel to it with it dark wood decor, deep reds and green seating. This is slightly strange as it describes itself as “the home of traditional English food”. It reminded me a little of Cafe Rouge. The tea and coffee were both served by the pot. The tea was served in a ceramic pot and the coffee in a metal one. Richoux has its own blend of tea. This was an average tea and I don’t think that it tasted very different to other black teas. It was nice to get quite a few cups of tea from a single pot. You can go here for breakfast, lunch or dinner as the menu includes soups, salads, sandwiches, meats, fish, pasta and risotto. 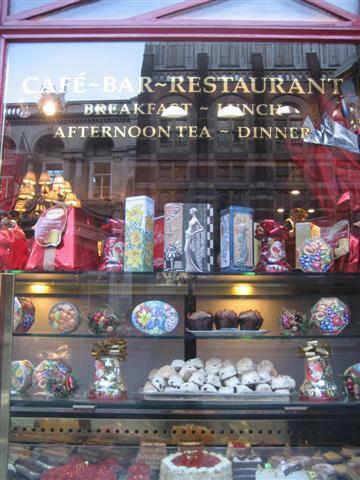 They also do afternoon tea and have quite a few pastries, cakes and ice cream sundaes for people who have a sweet tooth. The service was a little slow and we were there for quite a while before any of the staff came to take our order. On the other hand, it was nice that we did not feel rushed while we were having our drinks, even though the cafe got quite busy at some points. The staff were pleasant enough but they just seemed that they were there to do their job. The service did not feel very personal. We were seated at the front of the cafe which meant that there was the constant opening and closing of the door. Also, there were always people walking past and queues of people waiting to be seated. 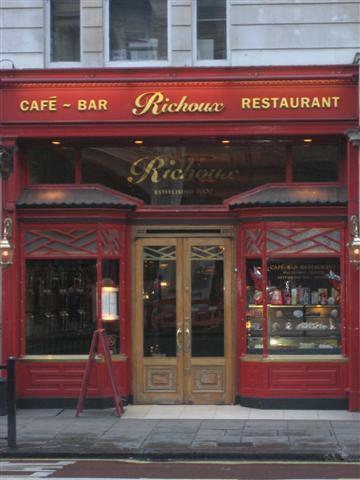 I think that the busyness of Richoux had a lot to do with its central London location.